Today I grabbed a little time on HF with the K3. I was pleasantly surprised to find 10m and 12m were open, so I listened around on those bands. I worked a Welsh station, GW4BKG on 12m SSB and was pleased with a 55 report for my 10W. Later I worked a mobile Italian station on 12m operated by Claudio, IW6DRH on SSB. That is the first time I believe I have made transatlantic contact from my QRP station to a mobile station, so again was pleased with him picking up my call first time. Claudio was 57 to me with some QRN and he gave me a 55 report. The antenna I was using was my homebrew 90ft doublet. I later found some videos of Claudio on the web, so here is one that shows his mobile setup and him operating from his car. Thank you Claudio for the contact and the video! 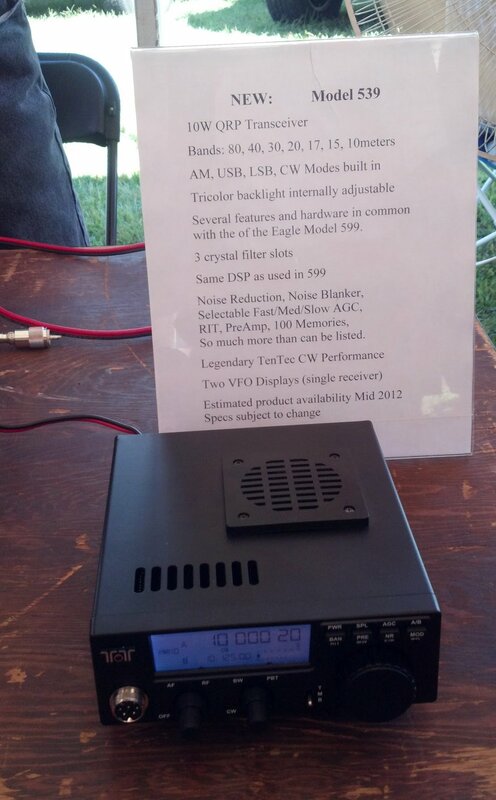 Through the QRP-L mailing list I have read about a new QRP HF transceiver to be made by Ten-Tec. It has the model number 539 and seems to be a 10W output rig with 80m, 40m, 30m, 20m, 17m, 15m and 10m band coverage, three filter slots, DSP and dual VFOs. Photographs and details are available at the QRPer blog. The rig looks about the size of a K2 and seems to be designed for portable operations. The front panel looks very minimalist with a few knobs and buttons, and I could not help thinking it resembled the old Lowe HF 150 in appearance. From the QRPer blog it is reported that the receiver board is the same as that used in the Eagle. Besides the transceiver there appears to be a planned 100W amplifier to match with the 539. This is a clever combination as having both will allow a user to have a full 100W station at home with the ability to take away the 10W transceiver ‘front-end’ for portable use. No information yet on the Ten-Tec site as of the time of writing this, but there is a Yahoo group already available. You have time to save your money, it is indicated on a display board in one photograph that it is expected to be available in mid 2012. I have recently finished reading “Unbroken” by Lauren Hillenbrand which is a compelling and in parts disturbing account of the life and especially the World War II exploits of the US Olympic runner Louie Zamperini. Within the book there is the mention of an emergency radio called a ‘Gibson Girl’ which I had not heard about. Upon investigation I found details of the radio on Louis Meultsee’s website “Radio for the Warrior”. He explains that this radio is derived from a German emergency radio, the NSG2 or Not Sende Gerät 2 which had been retrieved by the British during World War II. They had copied the design and made their own called the ‘Dinghy Transmitter T-1333’. In 1941 another retrieved German set was sent to the USA and that led to the development of the SCR-578 which became know as the ‘Gibson Girl’. This nickname is attributed to the curved sides of the radio which were to facilitate the gripping of the radio between the legs to aid the hand cranking of the generator. This seems to have reminded people of the shape of the women drawn by Charles Dana Gibson in the late nineteenth century. The German, British and American radios operated on the international distress frequency of 500kHz. Crystal controlled oscillators were used in the German and British radios, but the Americans used a valve based oscillator. A circuit diagram can be found at the ‘Radio for the Warrior’ website. Inside an enclosure in the radio was a reel of wire for the antenna (you can see the circular hinged door in the photograph above) which could be raised by a kite. There was a variable capacitor for tuning the antenna (see the circuit diagram) which could be adjusted from a knob on the radio front. 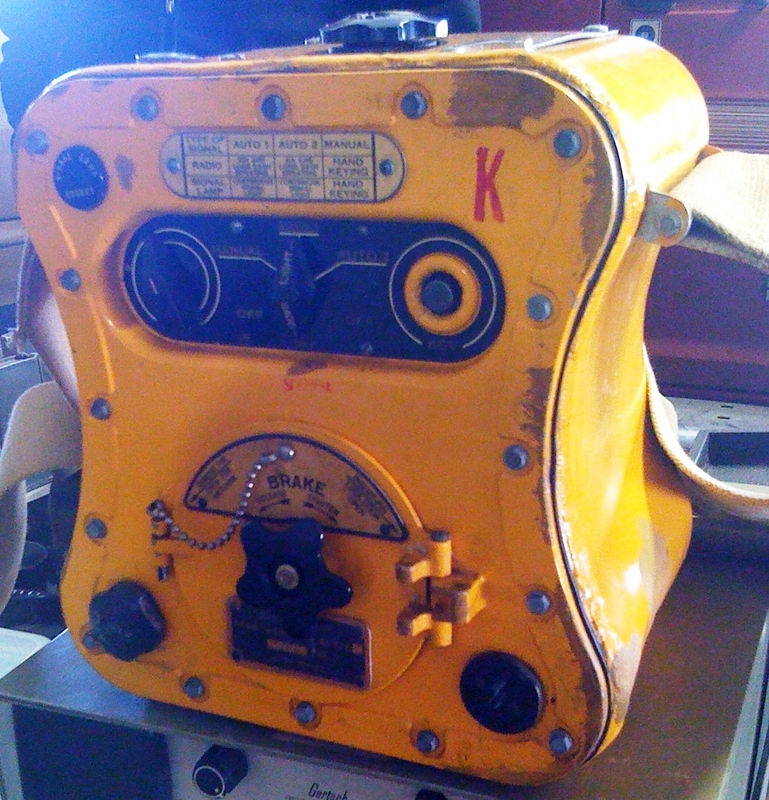 Power was generated by hand cranking and there were two automatic modulation modes, which included ‘SOS’ and a long dash (presumably for direction finding) as well as a manual keying mode. Beside the radio signal a light could be generated by the cranking of the set and modulated too. Along with the kite there were a range of other included accessories that are listed here, plus a photograph of an operator who looks were much like he is not in a survival situation! An article about the radio with some focus on the kite came out in issue 93 of ‘The Kiteflier’. After World War II the radio was continued to be produced and it moved into the shortwave bands by using the emergency frequencies of 8280 or 8364 kHz. If anyone has one of these radios in their possession and has photograph or if they have used one I would be interested to hear. Finally, if you want to know more of the Louise Zamperini story and do not expect to be reading the book ‘Unbroken’ then watch the video below. If you think you may read the book then I strongly recommend not watching the video as it reveals so much of the story. After my last post on my visit to Signal Hill I have been contacted Richard Meiss, WB9LPU, who constructed a straight key in the tradition of the keys made by the Marconi company, to celebrate the centenary in 2001 of Marconi’s reception of the first transatlantic signal. 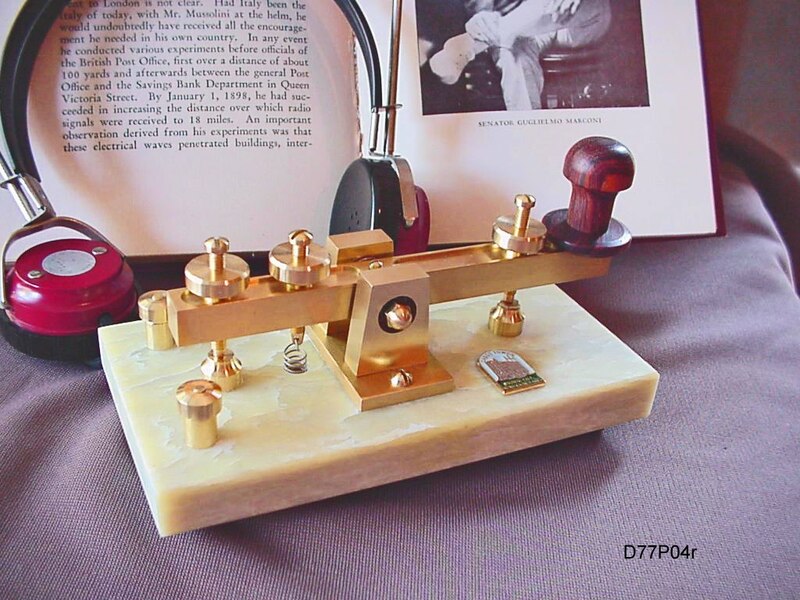 Rich has a written an account of the construction of the key, which is mounted on a piece of Newfoundland soapstone and it can be accessed below by clicking on ‘WB9LPU Marconi Style Key’; it is well worth reading. Rich manufactures many keys, paddles and bugs and his craftsmanship is outstanding. There will be more posted on Rich’s work on the blog in the near future, but to whet your appetite here is a video of one of his homebrew bugs. Please note Rich’s materials (photograph and PDF document) are included here with permission and do not fall under the Creative Commons license that I use on this blog. Back in June I attended a conference at Memorial University at St John’s Newfoundland. The morning of my last day in the city a colleague and myself went to visit the historic site of Signal Hill, where Marconi received the first transatlantic radio signal after they were transmitted from Poldhu Cornwall, England, in December 1901. The day we visited the Hill was thick with fog, which had enveloped St John’s for the five days I had been there. Still it was good to visit such an important site for radio even if you could not even see the sea which was at the foot of the hill. The Cabot Tower at the top of the hill is not the actual building where Marconi received the signals, that was then adjacent Fever Hospital which was destroyed by fire in 1920, however the Cabot Tower is the focus of the commemoration of the event and it has an exhibit, a shop and a radio station, VO1AA, run by the Society of Newfoundland Radio Amateurs. The shop is at the entrance level and then there is a floor for the exhibit, you can also gain access to the roof – which probably has fine views in good weather but the fog was thick the day we visited. Unfortunately, there was nobody manning the station so I did not get chance to operate from there. Still, there was plenty on display although the modern equipment looked like it was locked away. The photographs below show some of what was on display. The name ‘Signal Hill’ does not come from Marconi’s work, but due to the fact it was a viewing post for incoming ships. 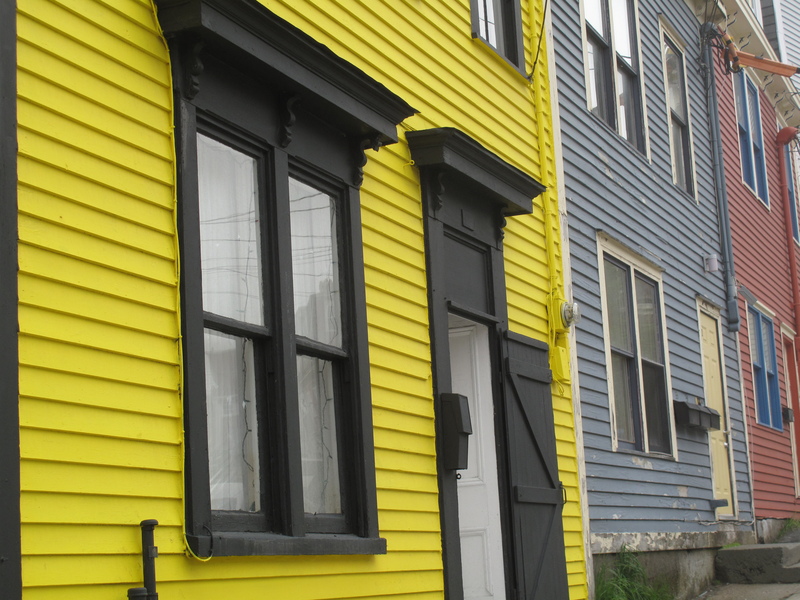 Once the merchant line was identified a flag associated with that company was raised so the stevedores and other dockworkers for the respective company could get ready for the ship’s arrival in the port of St John’s. There is a photograph of rolled up and neatly stored set of flags, which I presume were the company identifier flags, in the gallery below. In the shop I bought a copy of “Marconi’s Miracle” by D. R Tarrant. This is a short (101 pages) but concise account of the reception of the first transatlantic signals, including the build up and subsequent controversy of Marconi’s work. The controversy being that Marconi was effectively and quickly forced to cease his work in Newfoundland as the Anglo-American Telegraph Company enforced their exclusive rights to telegraphy systems in Newfoundland. They obviously felt concerned the new wireless system would take business from their cable system. 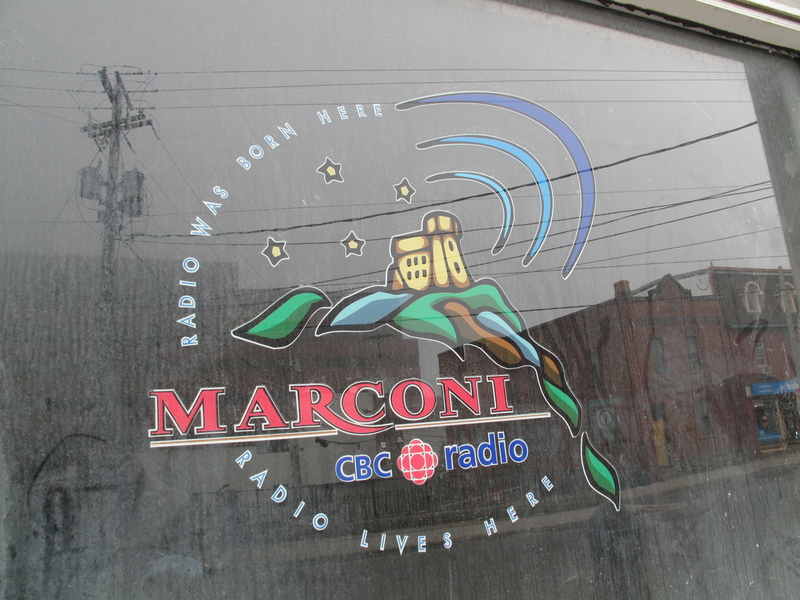 Just further down the Hill from Cabot Tower is a visitors centre that has more information about not only Marconi but the military significance of the Hill and the trading in the region. That is worth a visit too. So, if you find yourself in or near St John’s I strongly recommend you visit Cabot Tower and if you are an amateur radio operator it is a ‘do not miss’ just for its important significance. My last post was way back in June, when I was on business in St John’s Newfoundland. I had not planned for there to be an interruption in the postings but it just seemed to turn out that way. No single reason for the lack of output, things were busy with family, jobs around the home, work (I have taken on a new role) and radio with the Carleton University Amateur Radio Club (CUARC). Once I had stopped posting for a while it was too easy to not post. There may have been some writer’s block too. One reader advised me to write again when I was feeling the mood return, but emphasized not to change the format. So now it is time to pick up the blogging again. I may post more on these items, but here is a brief run down of recent amateur radio and electronics related activities over the hiatus. 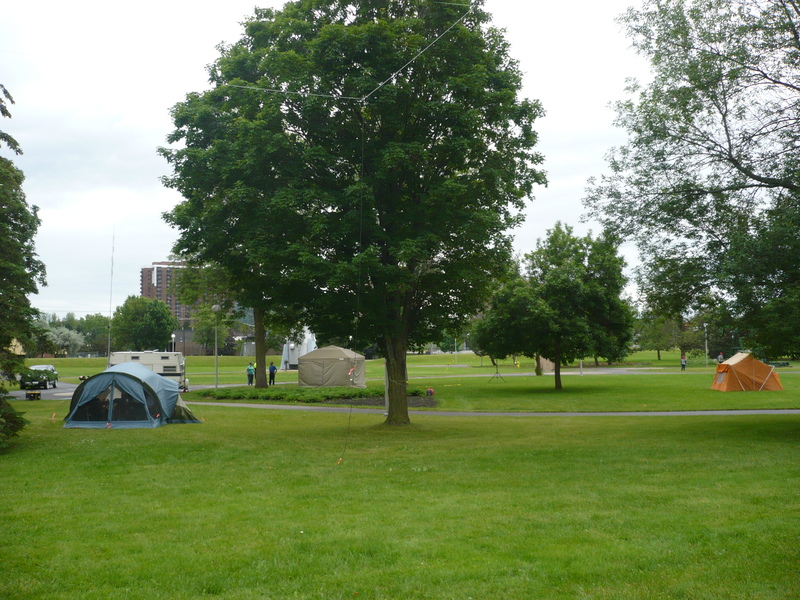 End of June there was Field Day and again CUARC participated with the Ottawa Valley Mobile Radio Club after being kindly invited to join them (see photo above). We operated mostly as a GOTA station (I was a GOTA captain and rules were followed) but when one transmitter turned in for the night we became the 80m station. We used a homebrew full wave 80m horizontal loop and a homebrew ¼ wave vertical with three elevated radials for 15m. Both antennas performed well. Somewhere in the recent past this blog went over 100,000 views. Top post in recent months has been details on the Z-Match tuner. Thanks to all of you for reading the blog! CUARC is constructing a 30m QRSS receiver and the oscillator, mixer, diplexer stages have been built and constructed individually. A low noise audio stage is to be built next. At work I have been building small SMD microcontroller boards with on board RF capabilities. The boards which we modified from some open hardware have been reduced down to about 4.5cm by 2 cm. My SMD soldering has been getting better, especially using a professional rework station. I have been programming the new ID-880H dualbander that I bought in Spring. The Saturday morning Ottawa Amateur Radio Digital Group D-STAR net continues every Saturday at 8:30am local time here in Ottawa (8:30EST or EDT) and we link through to reflector REF016B. Either Andrew, M0GRU, or myself run the net. Join us if you can. 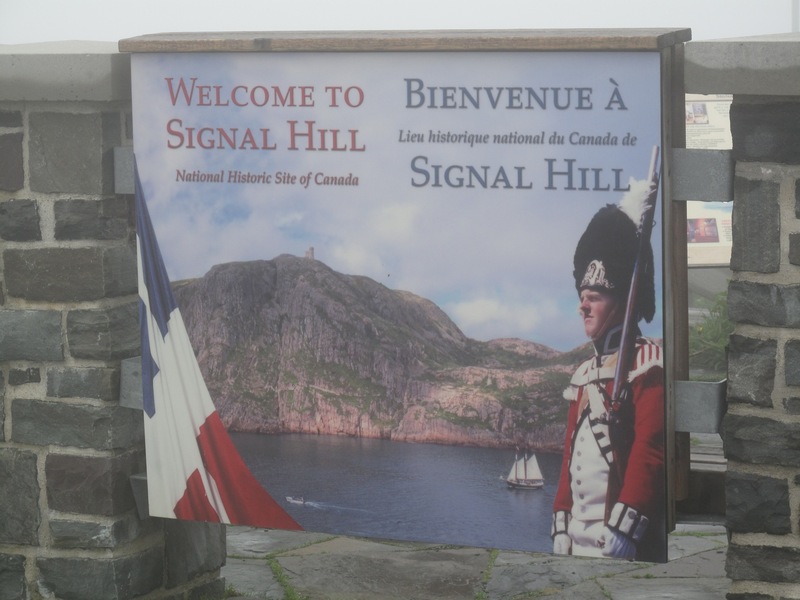 Next post will be the pictures form a foggy Signal Hill that I promised in the previous post.